Welcome to the Dodge engine warehouse at Sharper Edge Engines. This is where you can find high quality low mileage automobile engines for your Dodge vehicle. Begin by browsing our catalog for FREE. Compare prices openly. Zero in on quality with overstocked engines, sale prices, unique engine sizes, low mileage and more. Discover the value options between a used Dodge auto motor, a remanufactured Dodge engine or a rebuilt Dodge engine. Next, check on warranties. Get transparent financing options even if you're not ready to buy. Review prices on anything: Hemi engines, a Dodge Ram engine or other used Dodge engines or rebuilt Dodge engines. Be comfortable with your decisions. Then, get a guarantee. Your engine will ship free to US and Canada in about a week. • Which Auto Part or Dodge Engine You Need. Auburn Hills were simply the manufacturer of dodge engines and cars that was invented somewhere in year 1914. Later, somewhere in mid of 19th century the company was financially supported by Chrysler after manufacturing the appreciable yet efficient line of auto engines. As the time passed dodge automobiles has become one famous and influential engine manufacturing company in automobile industry. The initial development of Dodge was to build a 4 cylinder and 212 cubic motor that was recognized to generate about 35 horsepower. Later the firm tried their hand on more advanced version of engines by manufacturing Chrysler 6 cylinder engine. Dodge Brothers didn't rock Detroit as auto manufacturers from the get-go. Instead, they formed a type of indentured servitude for other auto makers. They made parts. Eventually, they designed an all-steel body frame which earned respect changing the automotive landscape in America. Meanwhile, they continued with auto parts, but with a strong focus on engines. It's where the early Hemi engine was designed. 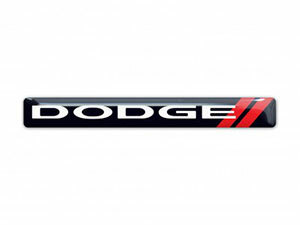 Dodge auto engineering would beat a drum under the Chrysler moniker in later years where World War II Dodge vehicles begat civilian Dodge trucks and cargo vans. Initially, patriotism forged Dodge as a household name, but solid engineering has been keeping it there. That engineering includes the Dodge Ram with a Cummings diesel engine or a Dodge EcoDiesel testifying to a century of worthy pick up trucks. Most notable of these is the Hemi, an engineering beast garnering global attention, but is manufactured by Cummins. It's commonly sold in a Dodge Ram which is branded for Chrysler but owned by Fiat. There is a good purpose for this automotive cocktail: pooling the best auto engineering resources from stem to stern to create serious trucks. It works. The Hemi engine, alone, is found beneath diversified car hoods like those on a Jeep Grand Cherokee, Jeep Commander, Chrysler Aspen and even a Chrysler 300 to name only a few. No matter what you're driving or which engine you need for replacement, Sharper Edge Engines focuses on providing a wide range of auto engines as long as it's younger than 1998. These include auto motors for sub-compact two door cars, light and medium-duty trucks, vans to full-sized passenger vehicles. The list of engines manufactured beneath the Dodge banner is massive. In fact, we cover all power train needs including transmissions, complete power trains and even rebuilt transfer cases. That list grows, but you'll find your component with the help of our catalog. We have more than 16,000 warehoused engines and power trains ready to ship. This is why your Dodge VIN is crucial. 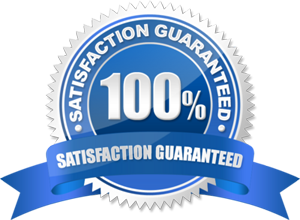 What's more important for you is the quality of your engine for replacement. And budget with no hassles. Our family-owned business provides used engines for vehicles like yours. It's your VIN. It's your Dodge and it's your life. Make it hassle-free. Call without obligation.